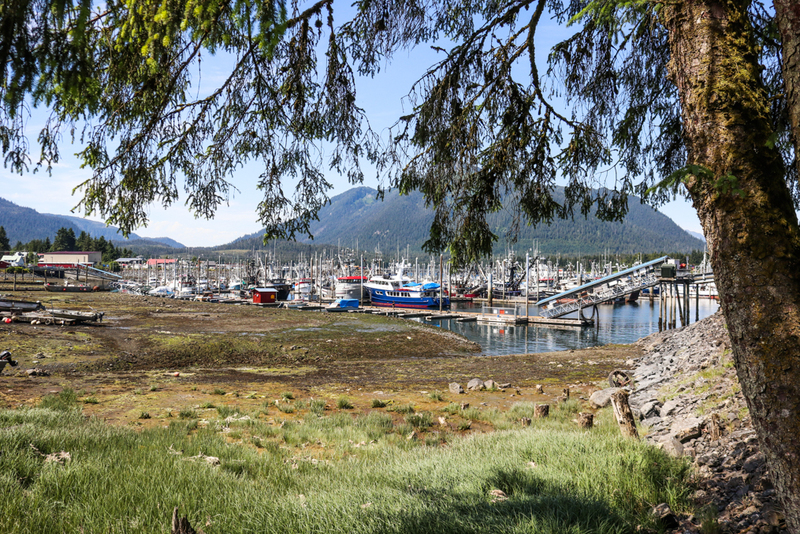 Today we visited Petersburg, a community of 3,000 located at the north end of Wrangell Narrows. 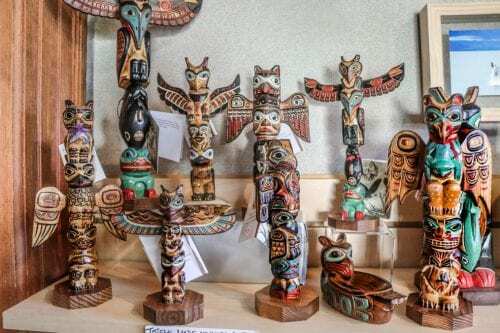 The town is the center of Norwegian culture in Alaska and has a picturesque waterfront and bustling wharfs. 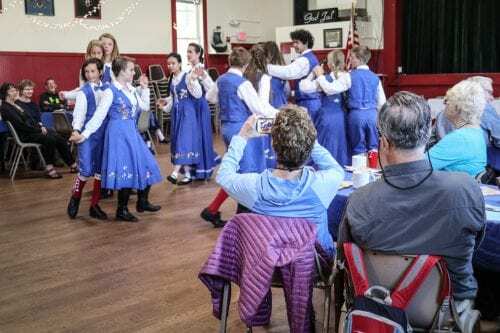 We hopped on a bus and headed to the Sons of Norway Hall to watch some traditional Norwegian dancing. The town was founded in 1896 by Peter Bushman with fellow Norwegians. When it was built soon after, the hall became an important meeting center in the town’s newly formed community. In the 1980s, the hall was added to the National Register of Historic Places. A traditional Norwegian folk dance. A welcoming entrance to the Sons of Norway hall. When we arrived, a group of children greeted us at the door in their traditional dance costumes. The dancing was merry and the children were enjoying themselves very much. After the dancing, they introduced themselves and a few of them participated in storytelling. The most popular story was about jumping into the slough the day before. Artwork for sale in a gallery. 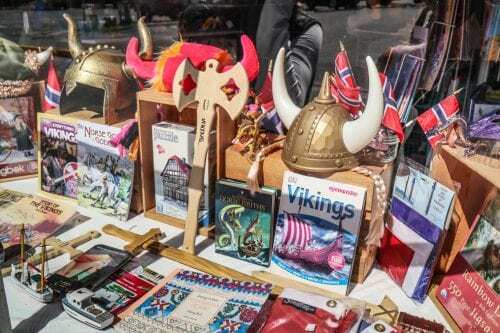 Items representing Petersburg’s Viking heritage in a downtown storefront. I purchased a cookbook that has traditional Viking recipes that have been passed down through several generations. With Meatball Pancakes and Moose Steak Stroganoff, these modern Vikings are adventurous eaters! The sun was shining outside which made it a nice day for all of us to enjoy a leisurely stroll through the streets of Petersburg. Petersburg crowned by snow-capped mountain peaks. That evening at sunset a pod of Orca were swimming just off the starboard side of the boat. What a spectacular wildlife moment!